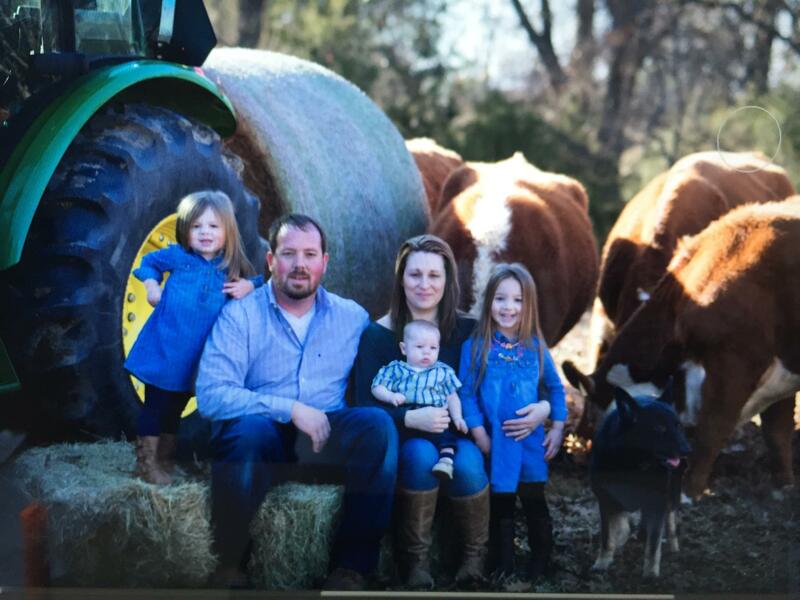 Shockley Ranch Herefords is a family owned and operated business that strives to produce the best Hereford cattle. 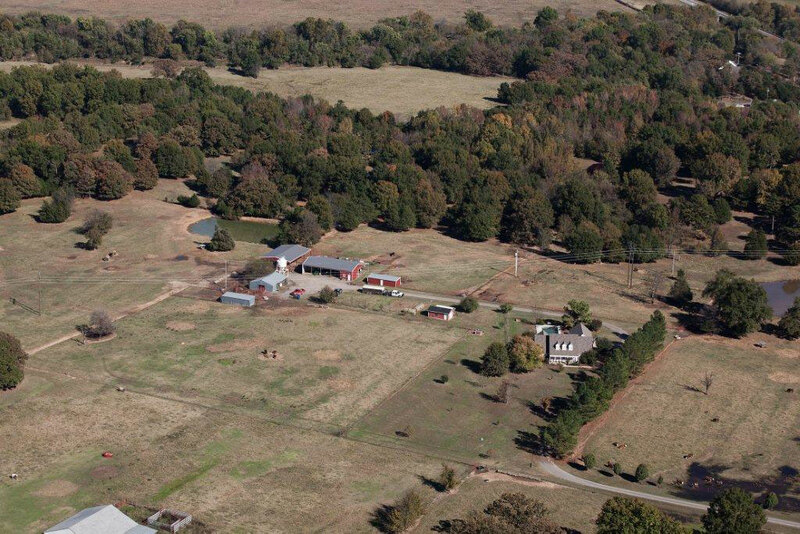 We are located near Poteau, in the river valley of southeastern Oklahoma. We were established in 1998. We collect all the data possible on our herd. Actual birth,weaning, yearling weights,udder scores,calving ease, and disposition. 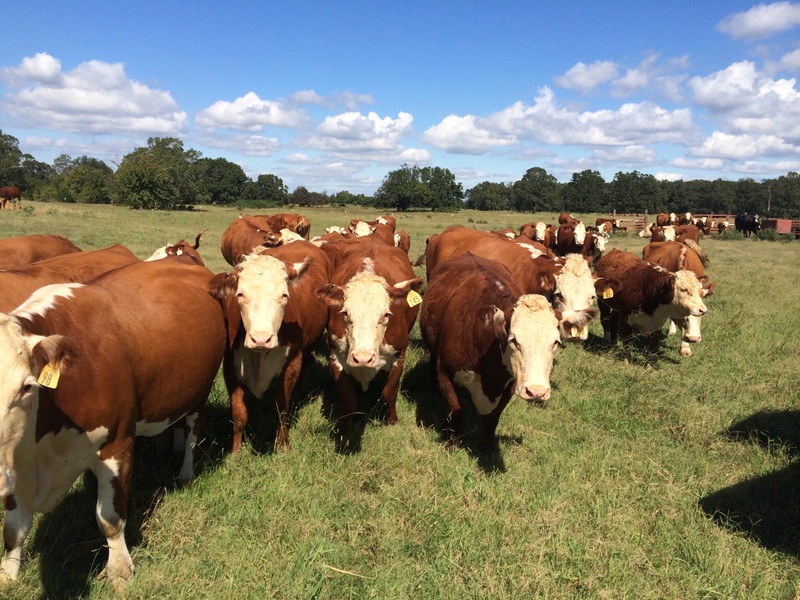 We maintain Total Performance Breeder status with American Hereford Association. We started our registered herd with buying ten top heifers from Wade Herefords. We did not purchase a bull. The plan was to A.I. the heifers to the best bull we could find. We bred them to HH Advance 767G 1 ET for their first calf. For their second calf we bred them to C-S Pure Gold 98170 and Star Donald 335F 4 ET. These offspring became the basis of our herd. It took a lot effort to get 100% conception, but we accomplished it. Year four we bought a very nice son of CJH L1 Domino 552 from Lone Star Ranch, which was a great compliment to our females. Almost 20 years later by A.I. breeding every cow to the best genetics available and only keeping the best replacements from each calf crop we now run 250 registered females that all trace back to the original first ten cows. We know our cattle well, they are very consistent and predictable. We have spring and fall calving groups. Our breeding success is by matching the right bull and cow to get the phenotype and epd profile our customers desire. Every cow is bred A.I. to a bull that we feel compliments her the best, then she is placed in a pasture with one our herd bulls that we feel will do the same. We have found that with the right matings we obtain are very large percent of quality offspring. Utilizing multiple pastures and having the right bull on the right cow has proven highly beneficial for us. We have really tight calving groups, most of the calves are born in the first seven days of the calving season. We maintain a herd bull battery of 10-12 bulls that are used for clean-up behind our A.I. program. We co-own these sires with Wade Herefords (Antlers, OK), W4 Ranch (Morgan, TX), and Circle Y Herefords (Rich Hill, MO). We enjoy and appreciate the partnerships. We have owned the show bull of the year for American Hereford Association and have multiple dams of distinction honored cows in our herd, all that we have raised at the ranch. Our cows are really good from those in the front pasture to those in the back forty they are sound, gentle, easy keeping, problem free, high producing herd of females that we are proud to show anyone. I don’t think you could go to a herd our size of any breed and find better udder quality or more eye appeal throughout than our cows. We have sold bulls and females to commercial and registered herds in ten different states. The bulls that we sell are held to very high standards. Every bull we offer has an acceptable birth weight, weaning weight, and yearling weight. They are developed on native pastures and given a supplemental bull ration, not overfed or in a pen. We cull all weak performers and the mother. We think enough of the breed to not put any problems or bad producers into production. When you come look at bulls they are all very similar in quality, no one has ever came and felt they had been picked over , we do a cull at weaning and at yearling, only our best are offered for sale. We retain a large number of our heifers to keep our numbers where we are comfortable and feel our genetics get better every year. Many years ago I could ride thru the pastures and pick out the calves out of heifers , now from improving genetics and only keeping our best , it’s not the case anymore, some of our highest weaning weight calves are out of first calf heifers. We normally sell groups of bred heifers twice a year. we sell 100 bulls and 100 females annually, along with select groups of f1 replacement heifers private treaty from the ranch. We welcome your visit and appreciate your interest in our program.